There have been a lot of roadworks recently at the subdivision where we reside. This is a good thing for the residents as many roads have deteriorated after so many years of non-maintenance. The rehabilitation of the main roads, I understand, were and are funded by public money through the City Government and the DPWH. 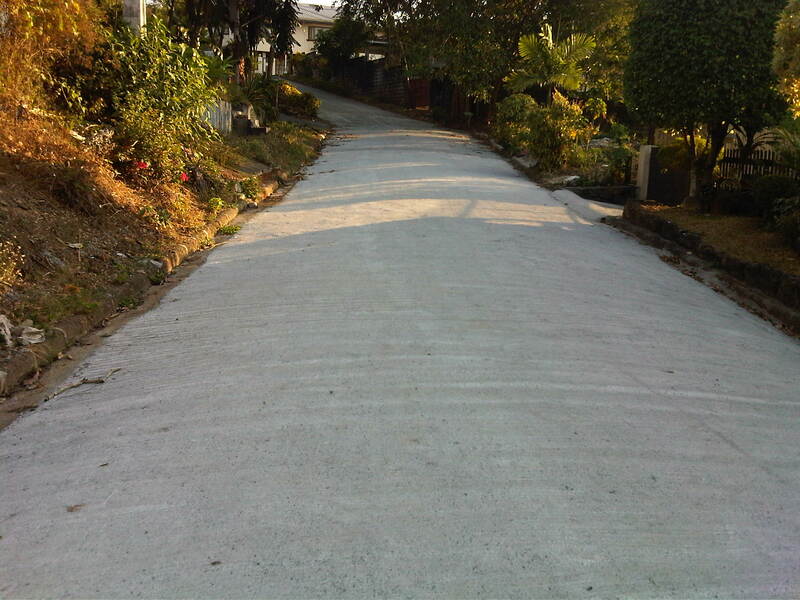 This is made possible by the subdivision’s roads being already turned over to the city government and with the subdivision being also a barangay. In fact, the subdivision is the smallest of the city. Following are some photos of roadworks in our village. We are very appreciative of the efforts of our village homeowners association in improving the infrastructure in the subdivision. The current policy calls for the prioritization of road sections where residents are up to date in paying their dues. I think this is a fair approach to prioritizing community road works. In fact, there are more road works being implemented now. This is good timing considering it is the dry season. The only drawbacks of such projects are temporary road closures and re-routing of traffic. By d0ctrine in Infrastructure on April 24, 2015 .